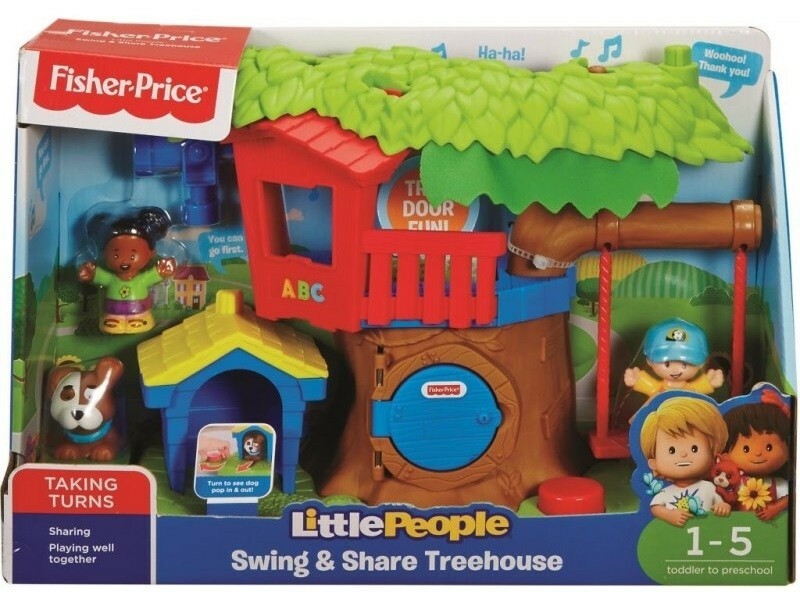 Swing into fun adventures with Tessa and Jack in the Little People Swing & Share Treehouse! Tessa and Jack are such good friends; they just love playing together. At the push of the Discovery Button, Tessa can swing back and forth, while sung songs and fun phrases teach little ones about sharing and taking turns. 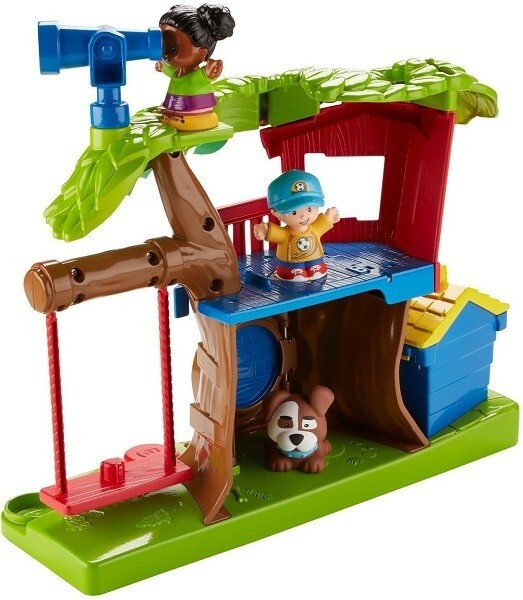 While Jack waits for his turn on the swing, he can play up in the treehouse, then drop through the secret trap door. Wee! But wait! Their doggy friend wants to play, too! 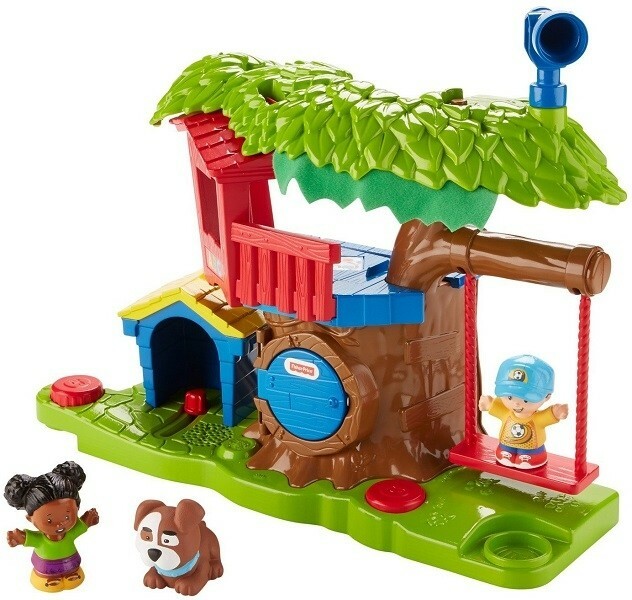 Turn the second Discovery Button to see the dog pop out of the doghouse and say hello. 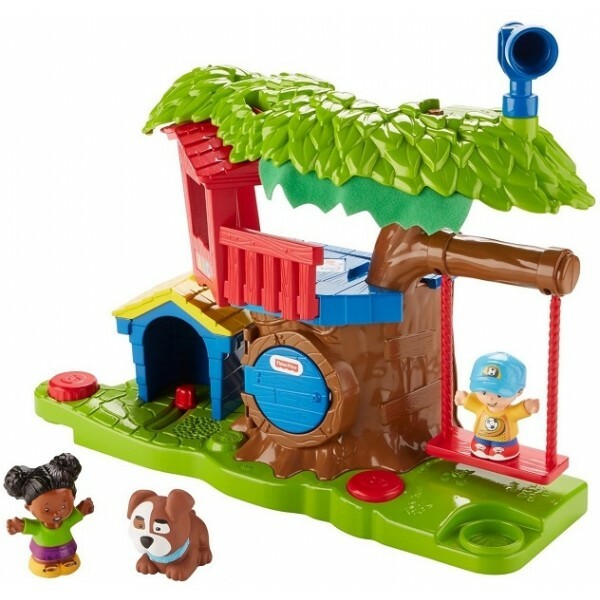 As toddlers interact with the treehouse, they're introduced to taking turns, sharing, and thinking about others through sung songs and phrases.